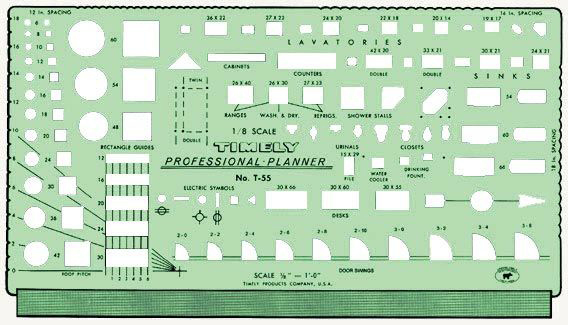 Contains roof pitch gauge, door swings, electrical symbols, and lavatory fixtures. Scale: 1â„8" = 1â€™. Size: 5Â¼" x 9Â¾" x .020". Shipping Dimensions 10.75 x 5.75 x 0.50 inches, Made in USA.